The Pyra is the sequel to the Open Pandora. 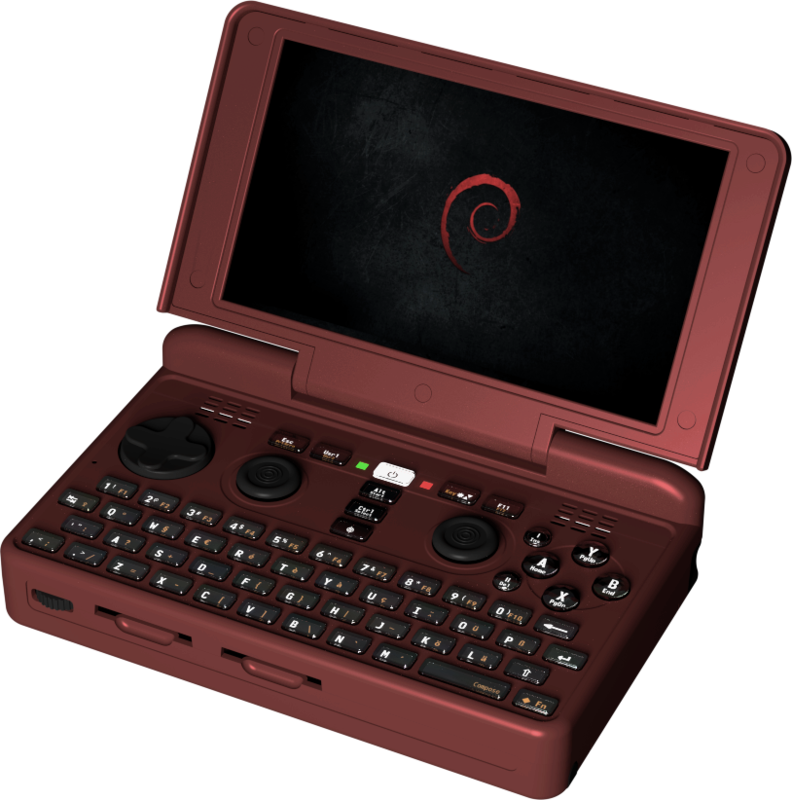 Imagine a linux based laptop with dual core cpu, touch screen, backlit keyboard, heap of ports (including usb2, usb3, hdmi and sata), sd and micro sd slots. Now also imagine it's small enough to fit in your pocket. The Pyra runs on a 1.5GHz Omap 5 ARM Cortex A15 cpu (the cpu is on a socketed board so can be expanded later). It has a 720p 5" resistive touch screen (resistive due to more accurate tracking of a stylus). It includes a D-Pad, dual analog joysticks, ABXY buttons and 4 shoulder buttons, since one of the purposes of the Pyra is retro game emulation. It's got 32GB of internal storage, a micro sdxc slot in the battery compartment and dual sdxc card slots on the front. It's not running a mobile OS, it's basically a full desktop linux distro built for ARM. The original Pandora had crazy long battery life and great audio quality, so the Pyra should be similar. The Pandora (with a 600MHz Cortex A8 cpu) was able to emulate an Amiga and Playstation 1 at full speed, and could even run dos games like Balder's Gate in dosbox, the Pyra will be much faster. At the moment the preorder is a partial payment used to begin manufacturing. The Pyras with 2GB or 4GB of ram have a preorder cost of 330 euros, with another 170 (for 2GB) or 200 (for 4GB) euros paid when shipped. There's also a version with 4G mobile support, it costs 400 euros for preorder with a further 200 or 230 euros when shipped. Re: Pyra Handheld on preorder! Looks awesome, I had a Nokia N900, it could do lots of stuffs that modern and powerful smartphones can't. Go Linux!